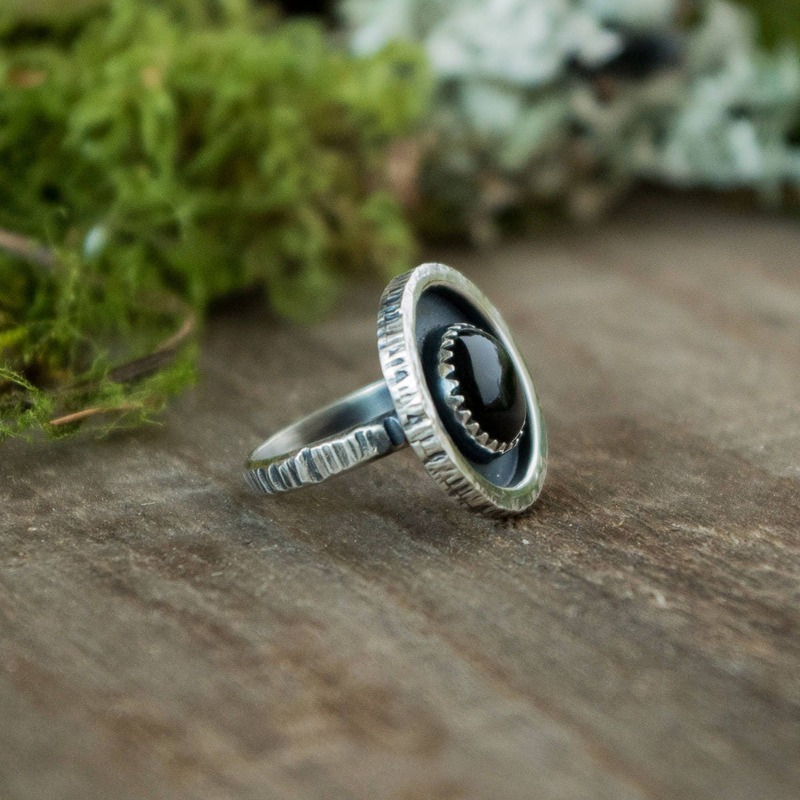 This handmade ring features a round black onyx stone set in a serrated sterling silver bezel. 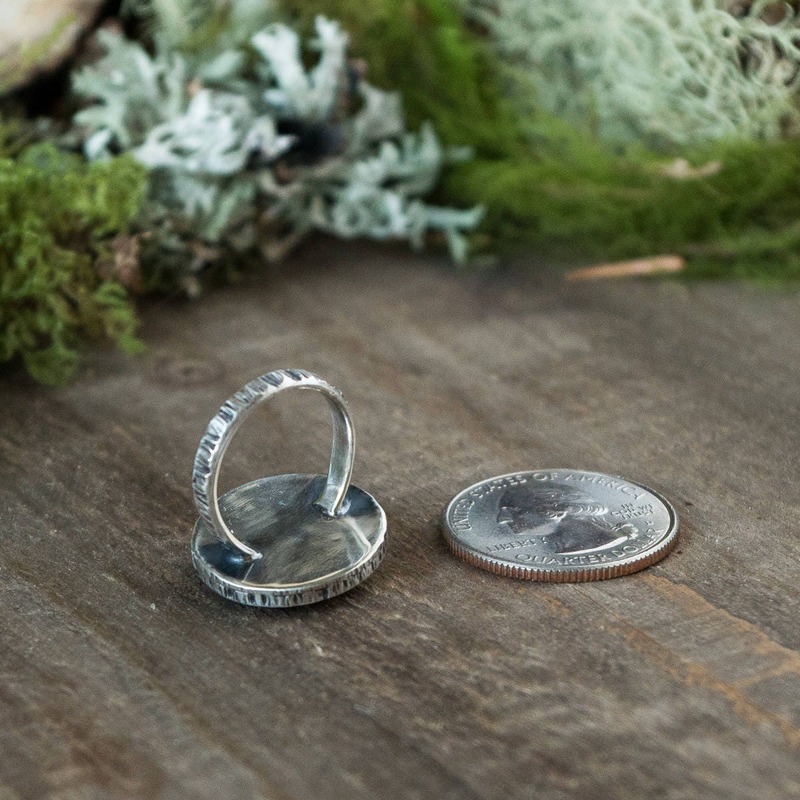 A circle of bark textured silver encircles the stone with an 1/8" space in between, creating the shadow box effect. 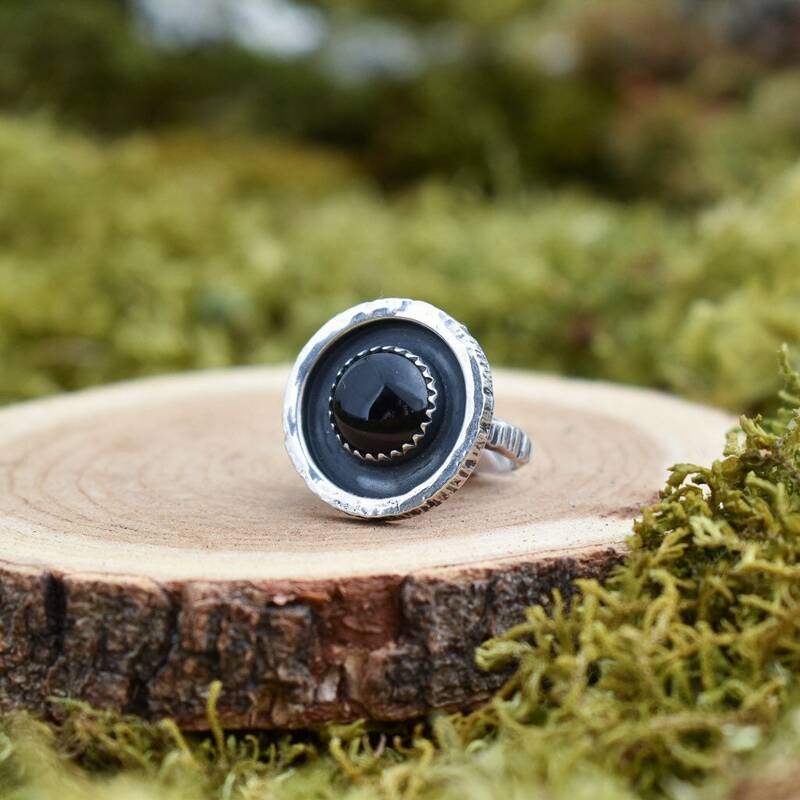 The face of the ring is approximately 3/4" round in diameter and is supported by a silver, hammer textured tree bark band. A dark patina accentuates the shadow box effect and brings out the details in the bark textures. 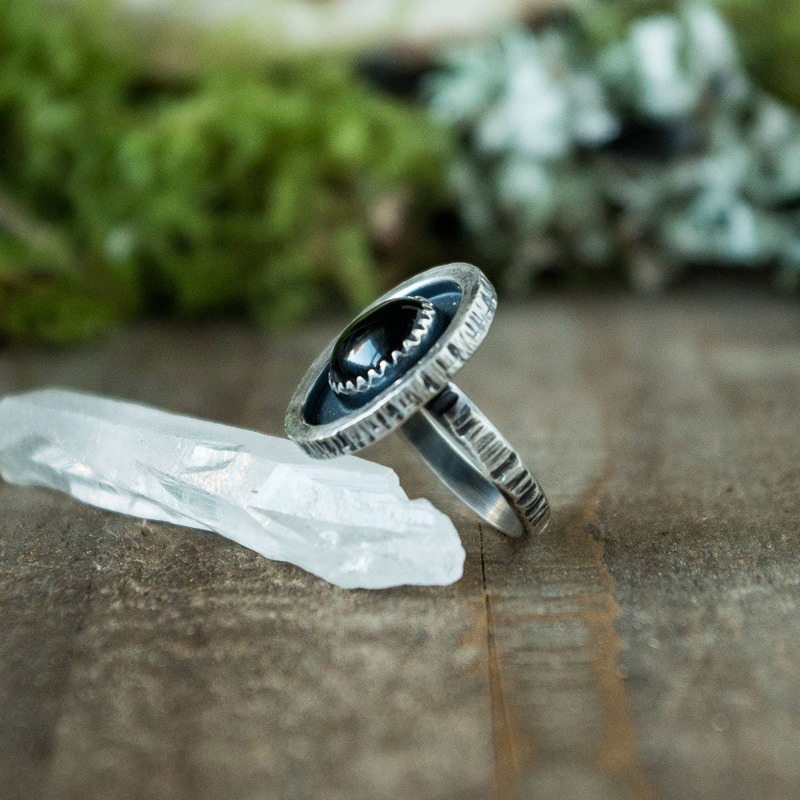 This ring was made completely by hand from silver sheet and wire using traditional silversmithing techniques. 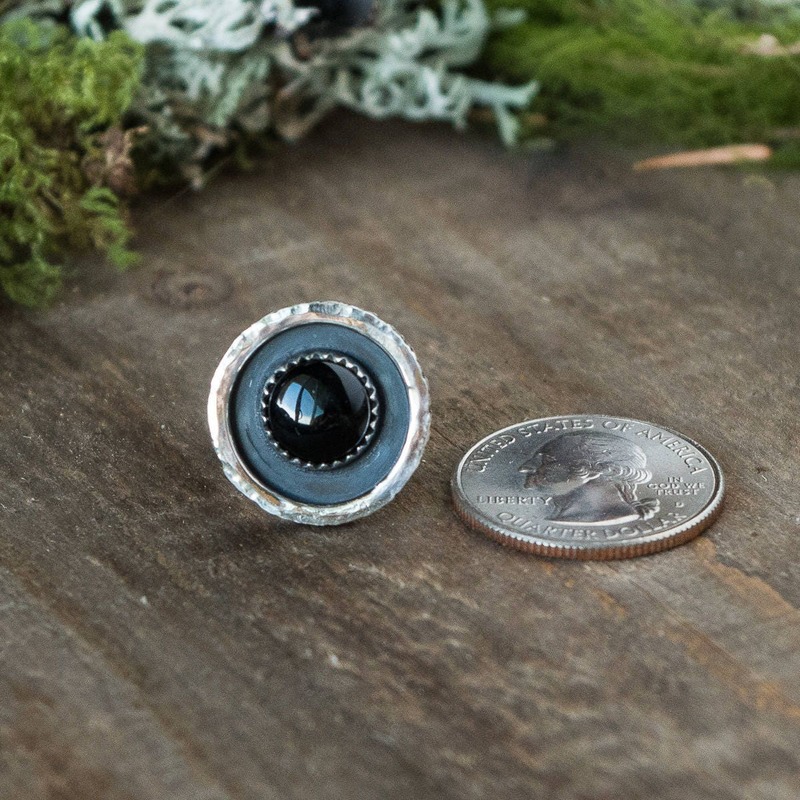 Jewelry will arrive in a small translucent box, nestled in ethically foraged forest finds and carefully packed with recycled shipping materials. This item is not a toy and is not recommended for children. All works come from a tobacco free, one dog home. Feel free to contact me with any questions and thanks for looking!